At the InnoTrans tradeshow in Berlin, China Railway Rolling Stock (CRRC) announced plans to build an inter-continental high-speed train that will have the means to adapt to different tracks and to travel from the Far-East to Europe, via central Asia. 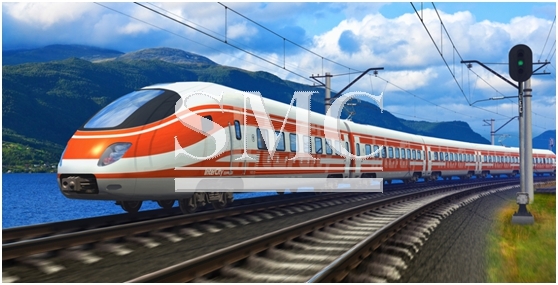 The company have stated the specified train will be two-tier, with the top deck being designed for the transportation of passengers and the lower deck being designed for the transportation of cargo, such as customer luggage, high-value products and express parcels. CRRC stated that due to the intention being for the train to travel along vast networks, it will be designed to withstand a vast array of environmental differences. Apparently five prototypes are already being designed for the intercontinental train are already in operation in China. By the end of 2016, CRRC hope to have initiated full-scale production and during 2017 they expect a 250km/h version of the train to begin service. Considering the magnitude of the project, this is a reasonably small time-scale. With regards to the comfort of the train, all that has been revealed so far is that CRRC will be introducing a ‘smart window’ concept, where passengers will have access to information on a touch-screen device. Earlier this month, the completion of a line between Zhengzhou in central China with Xuzhou, north of Shanghai, brought the total length of the domestic high-speed network to 20,000km. Huang Xin of the China Railway Corporation told Xinhua agency that the first 10,000km of the system took 11 years to build, after which it doubled in three years, and is expected to double again by 2025, before reaching 45,000km in 2030.